Sebek Studio​ - Classes + What's New! My studio will be closed Monday, September 18. I will not be hosting any art classes that day. I will be open again Monday, Septermber 25. Get out and enjoy the beautiful fall weather, the vibrant colors of the changing leaves and the slow change in our Northern landscape. 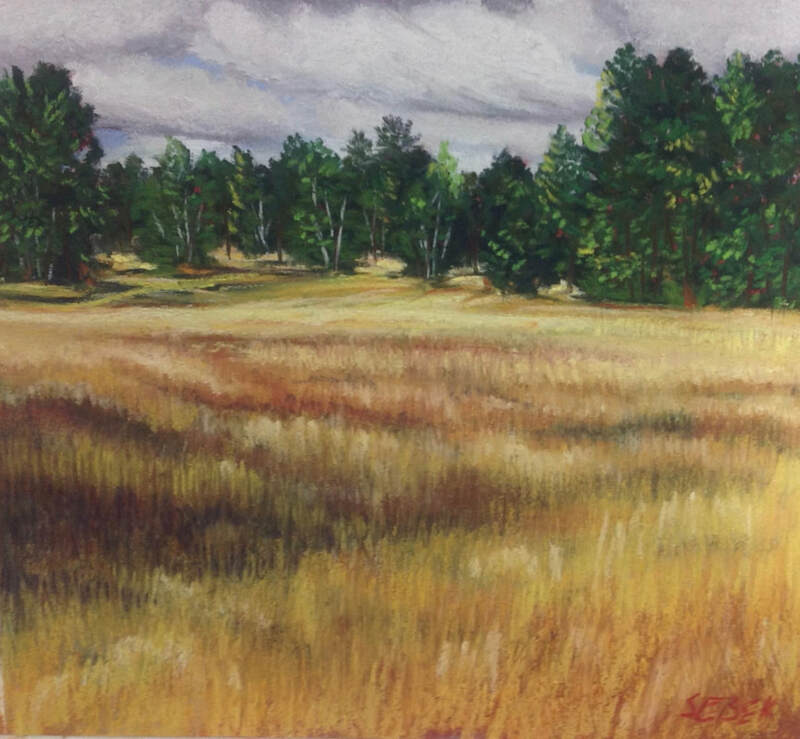 Stop by the studio as you are wandering the beautiful Northwoods on this holiday weekend. Check out the Pastel paintings, Mosaic & fused glass, Block prints, Letterpress art & cards. I will again be offering Pastel Painting open studio time in my studio for beginning and experienced pastelists, adults and young adults welcome. Open studio painting encourages you to continue or even begin painting independently with pastels, while helping you problem solve compostition and color issues and share your work with others. My studio is located at: 10839N Nyman Ave. in Hayward, across from the Wesleyan Church. I can accommodate 6 students comfortably. Easels are provided and the coffee pot is always on. You will need to bring your pastels, pastel paper, hardboard, paper towels, newspaper, tape and any other supplies you find helpful. I will have a variety of pastels and paper for sale. The session is for adults and young adults, all levels of painting experience. The focus will be landscape paintings and we will be working from photographs. Class time will be spent painting, with ongoing individual critiques. This is an ongoing open studio for painting and participants pay only when they attend. I will post updates on my website for any schedule changes, so please check sebekstudio.com/classes before attending. I have been working with pastels since 1988 and focus mainly on the landscape for my inspiration. I started my pastel classes in the summer of 2007, having previously taught drawing and pastel classes at Art Beat of Hayward. In 2010 I had to stop classes due to studio damage; I am again ready to welcome painters into my studio. Samples of my work can be seen at Art Beat of Hayward and Stones Throw in Bayfield. For more information, contact me at catherine.sebek@gmail.com or (715) 634-3667. Welcome to the new Sebek Studio Blog! Thanks for reading. Stay tuned for postings about workshops and classes! I reopened my studio in February for open Pastel Painting sessions and it has been very fun. I enjoy seeing the subject matter people choose to paint, the colors they use and the area they see as the focal point. If you are in the area beginning May 29, stop in to paint with me. Enjoy this lovely spring weather. MY STUDIO WILL BE CLOSED MAY15 AND 22, AND WILL REOPEN MAY 29 FOR PASTEL PAINTING.